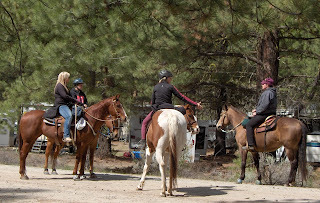 We're looking forward to our 2019 Spring Ride and fundraiser! 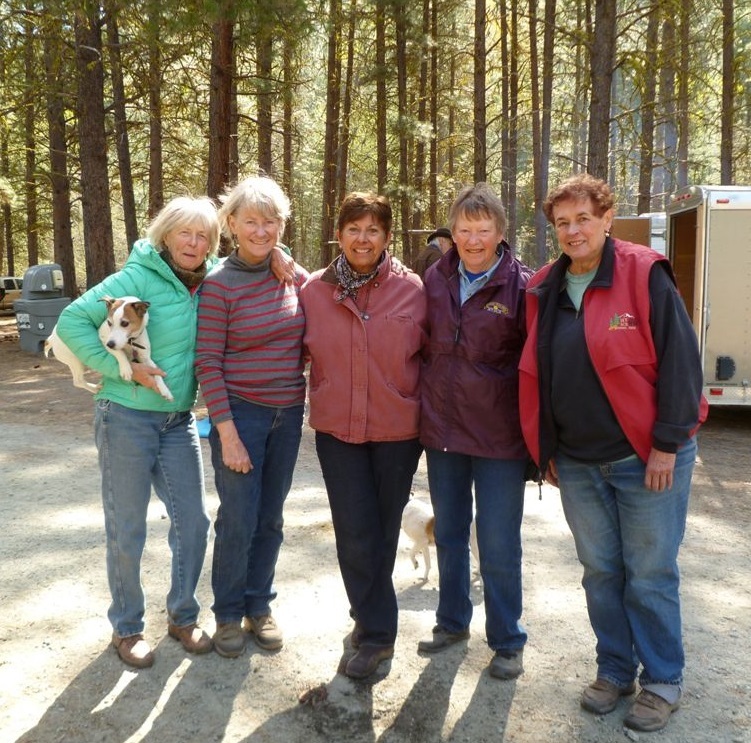 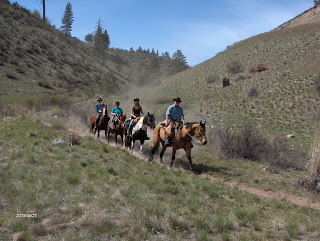 We'd love to have you join us, so start making plans now for a family camping weekend on April 26-28 in the Methow Valley. 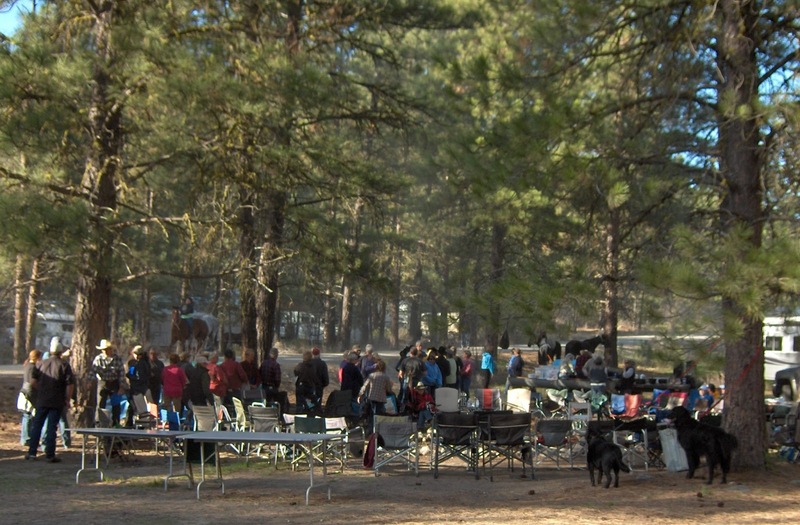 Click here to download the registration form for 2019! 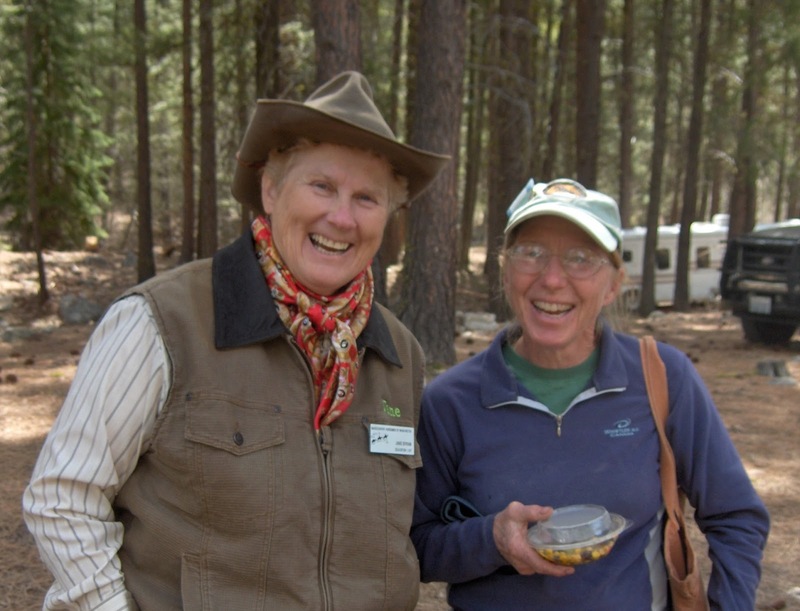 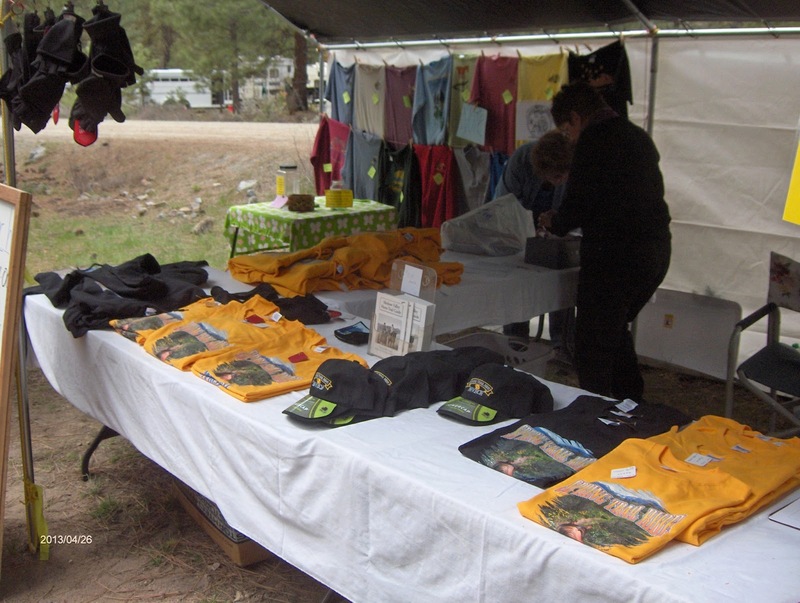 The Methow Valley BCH invites you to a fun-filled family weekend April 27 to 29, 2018 near Twisp in North Central Washington. Friday: We’ll have a Dutch Oven pot luck dinner. 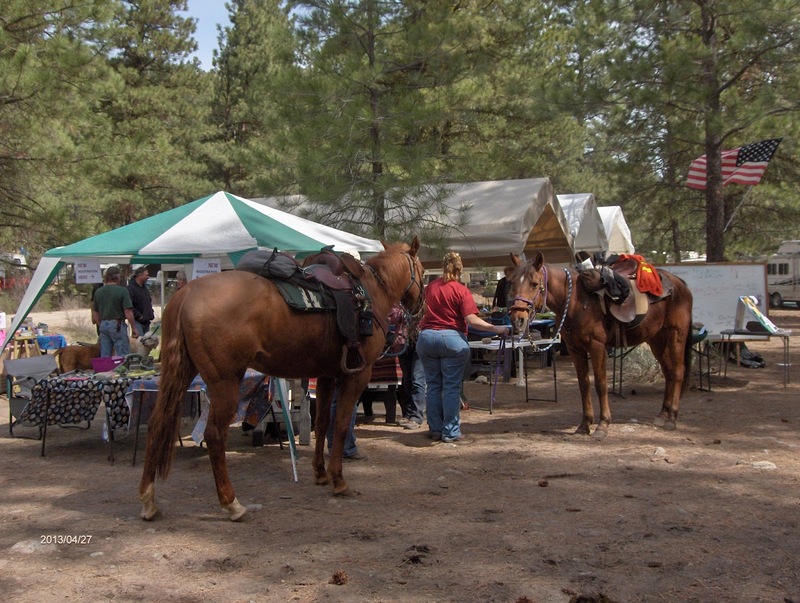 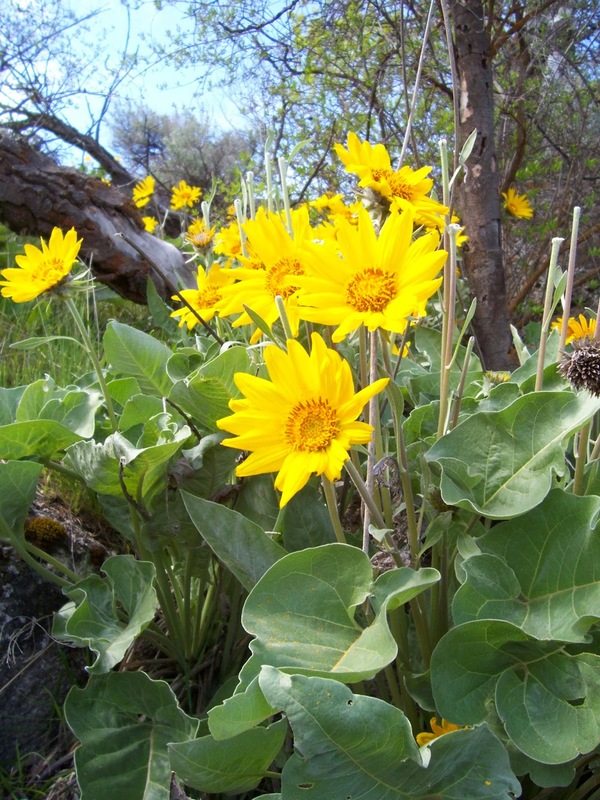 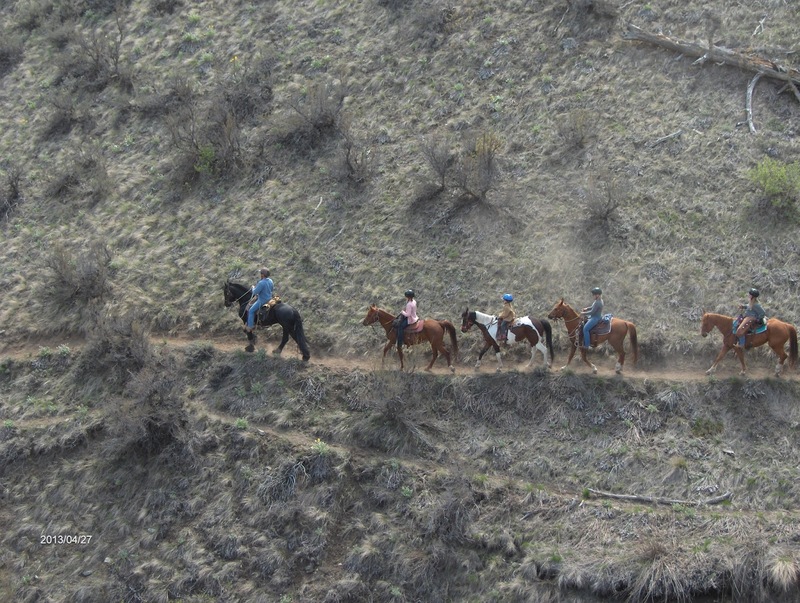 Saturday: We’ll ride in spectacular scenery and, you’re welcome to enjoy an optional Poker game on the trail. We’ll have a Silent Auction all afternoon (closing at 5 PM), and a marvelous BBQ dinner starting about 5:30 PM. 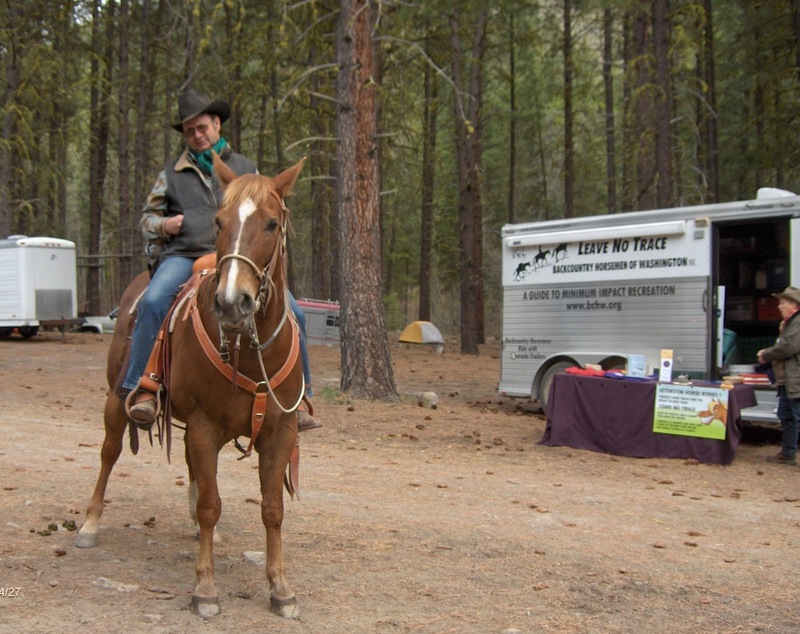 After that, we’ll have entertainment to enjoy as we relax around the campfire! 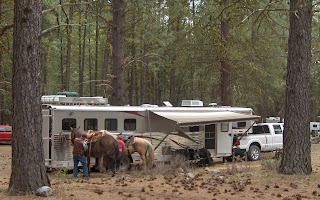 Awaken Sunday morning to fresh coffee and a scrumptious Cowboy Breakfast before heading home. Come join us! 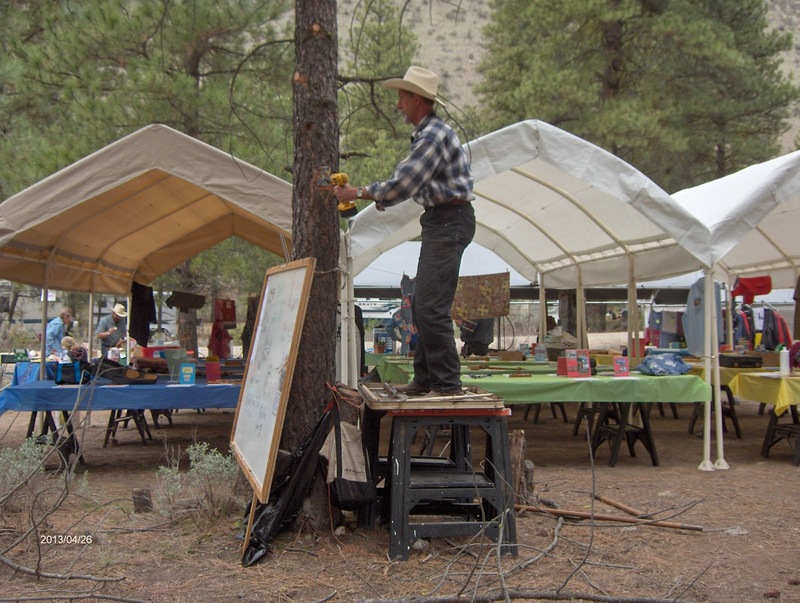 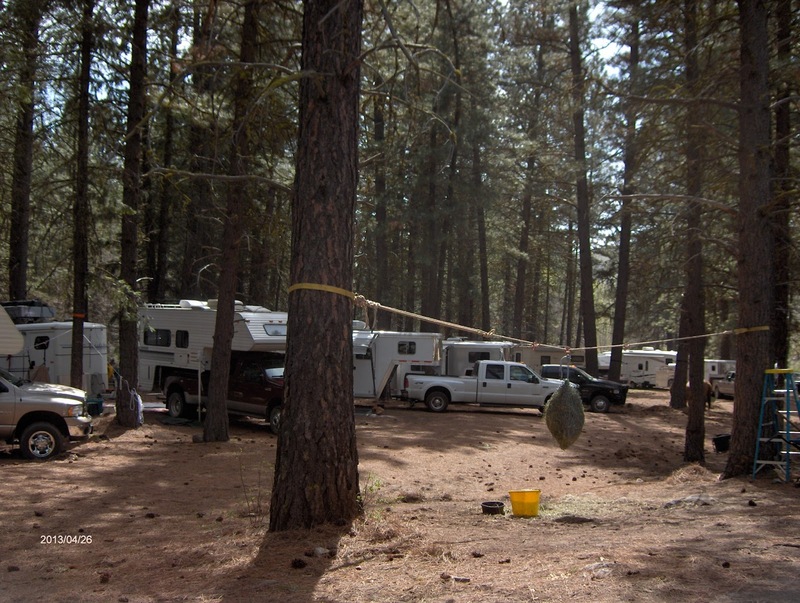 Remember: Camping is “unimproved” (though there will be plenty of porta-potties!) and the weather is changeable, but fellowship and scenery are unbeatable! 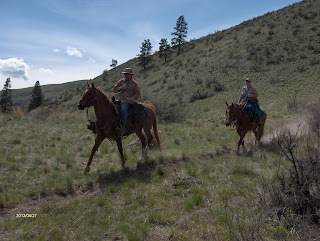 Bring: Potable water for all humans; water is close at hand in Beaver Creek for your horses, so just bring buckets to carry it from the creek. Have an outback coat to keep you warm and dry in case we have a few raindrops, and your camera! 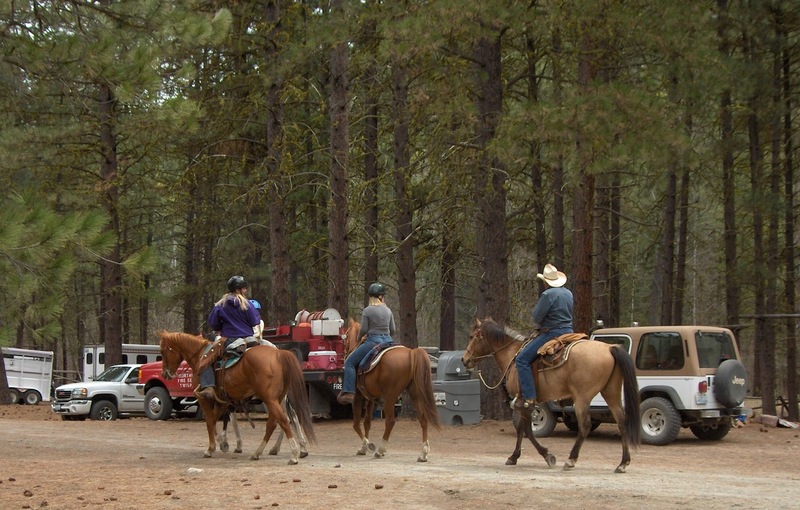 Of course, if you plan on riding be sure to bring your horse! 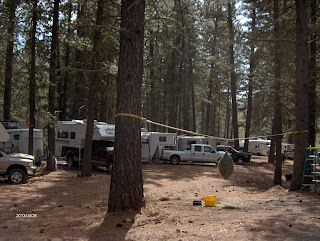 Come early and camp; stay late! 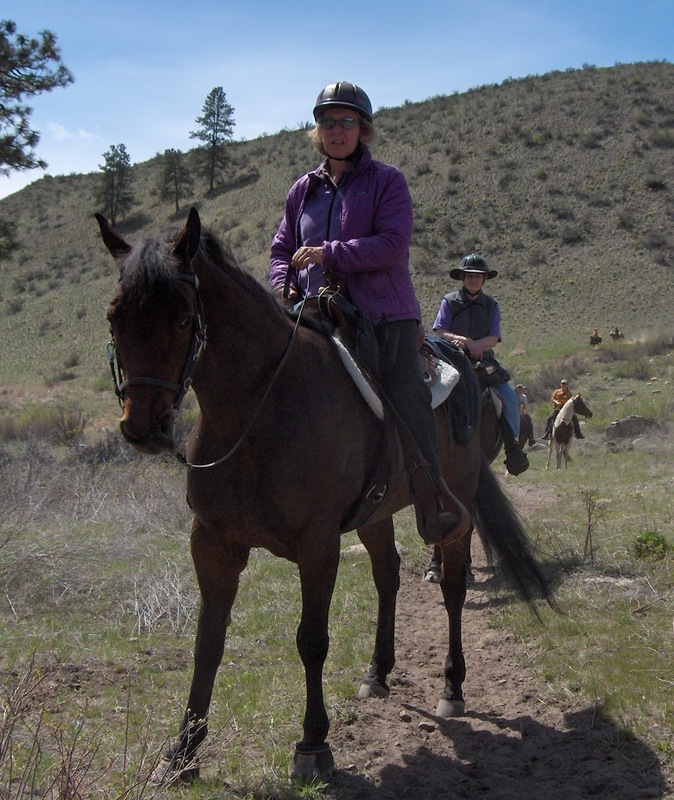 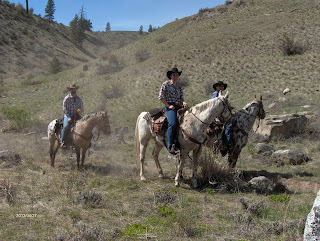 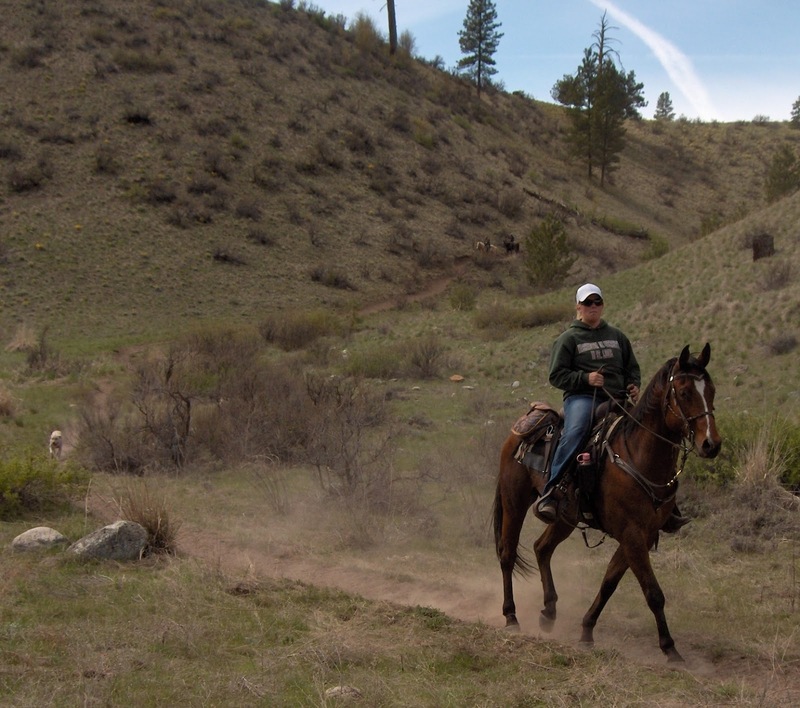 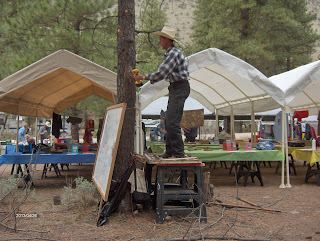 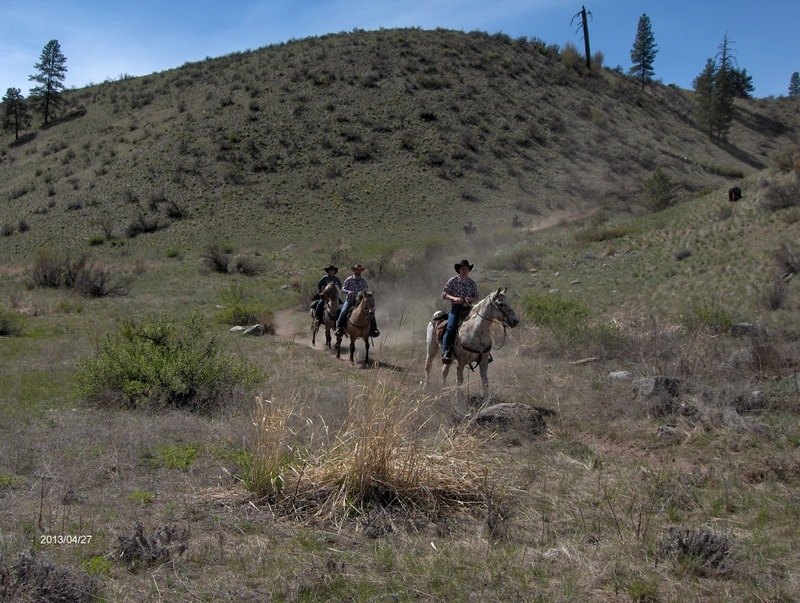 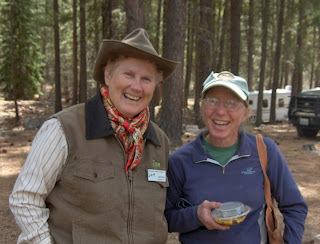 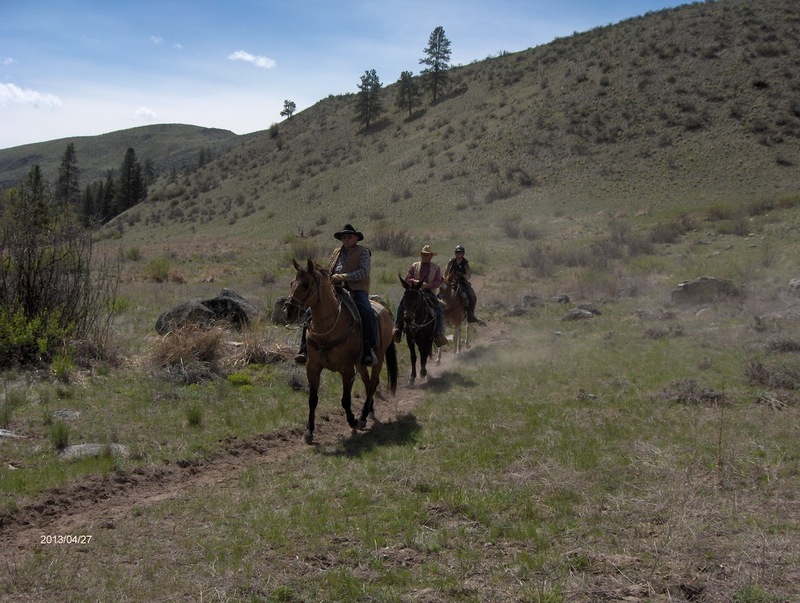 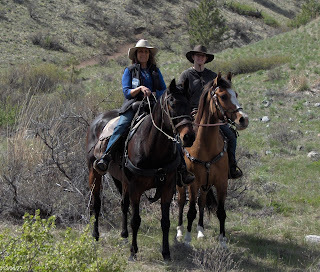 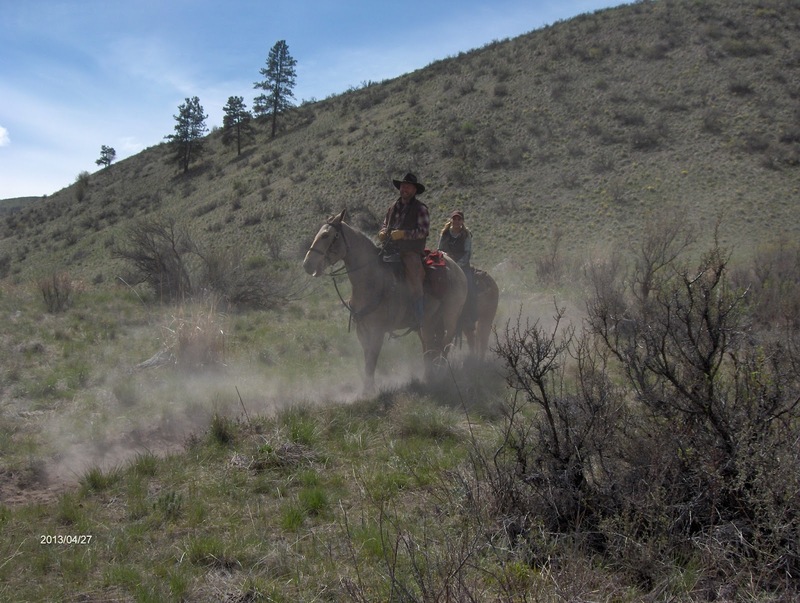 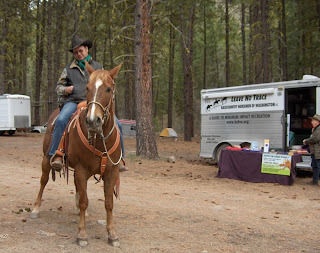 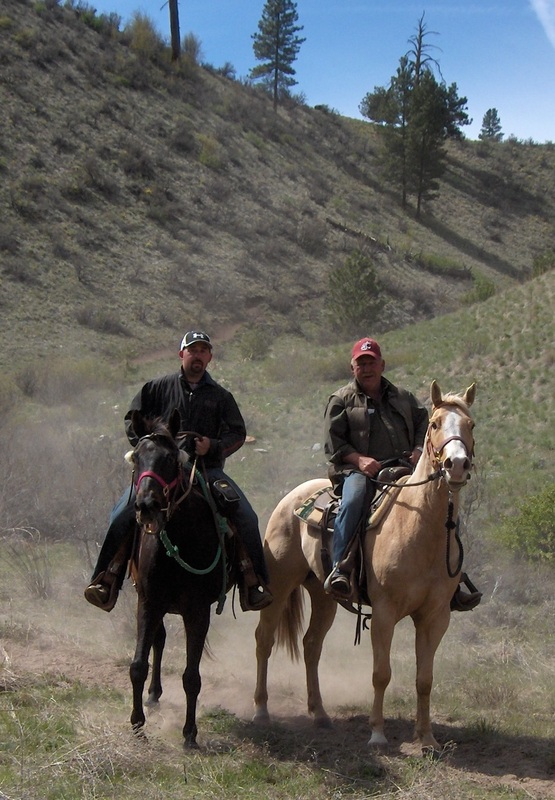 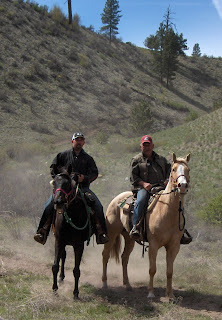 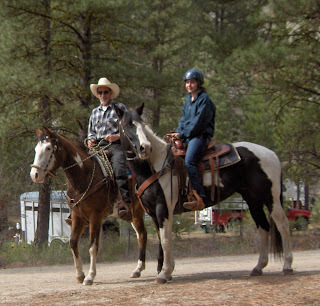 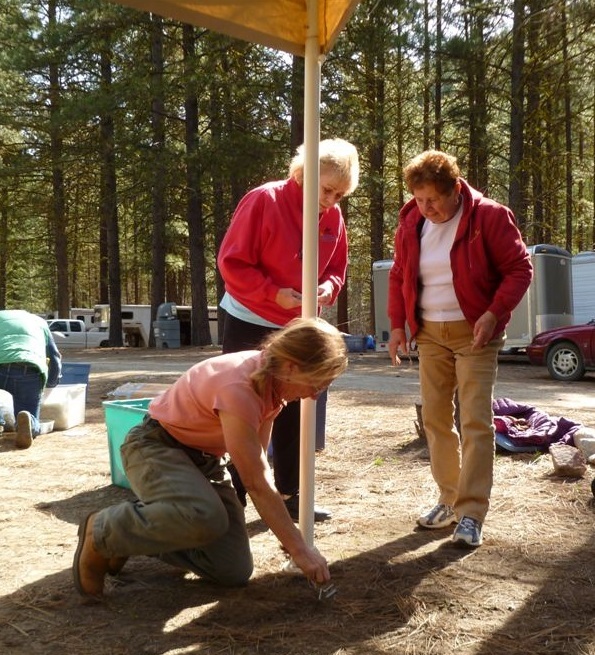 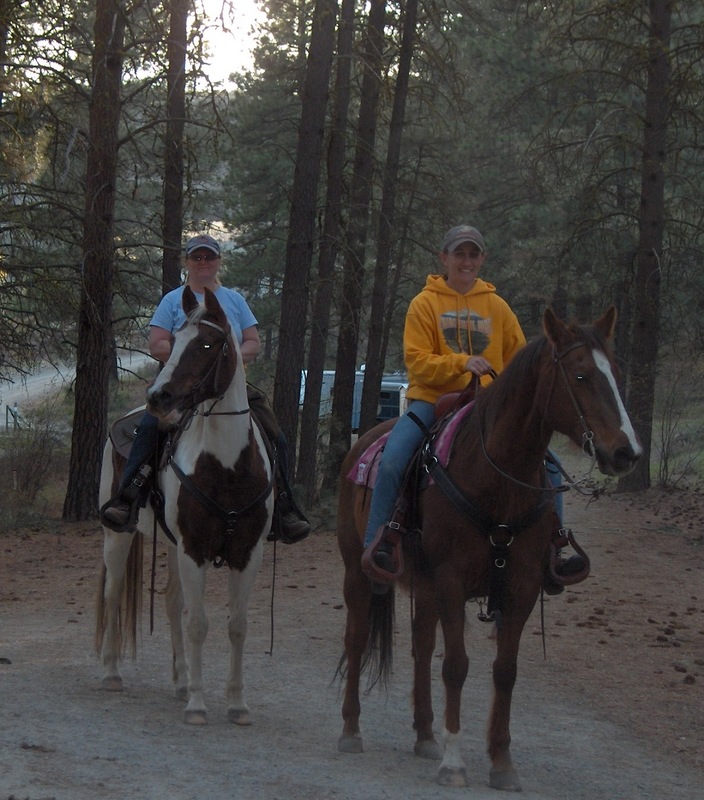 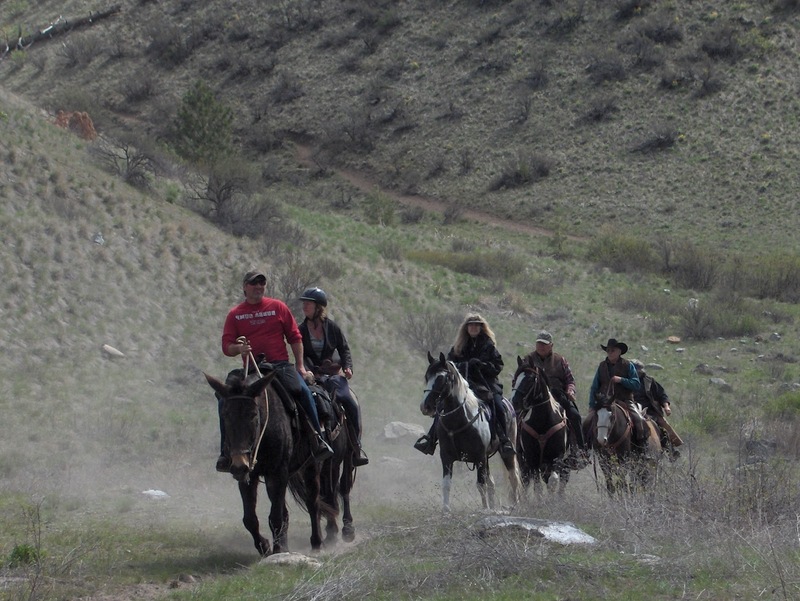 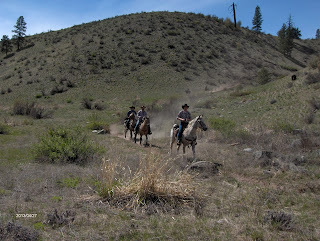 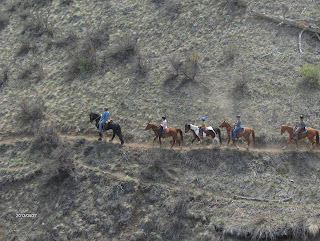 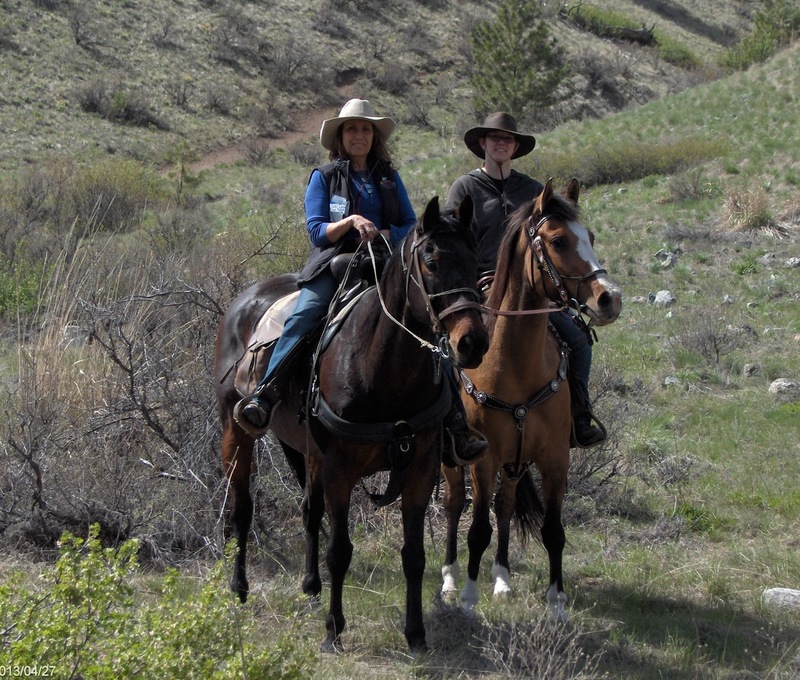 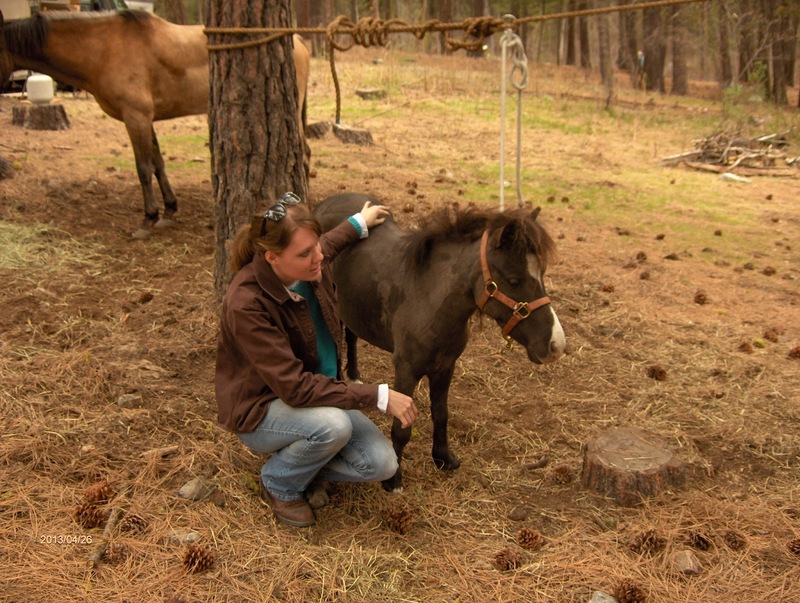 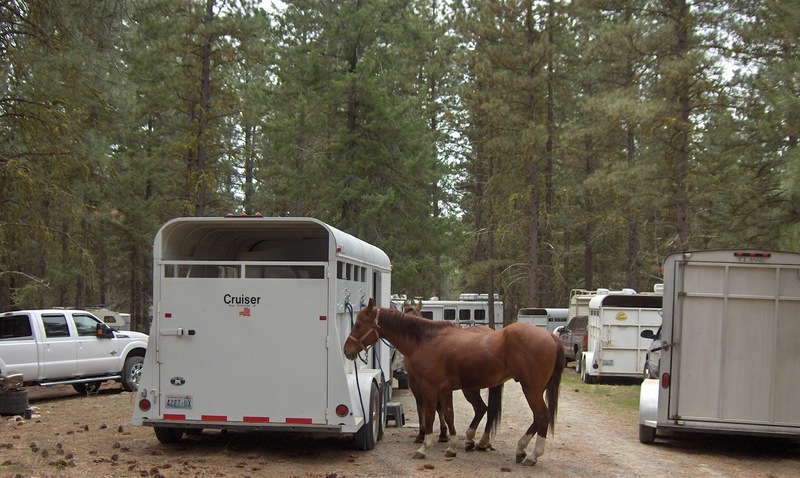 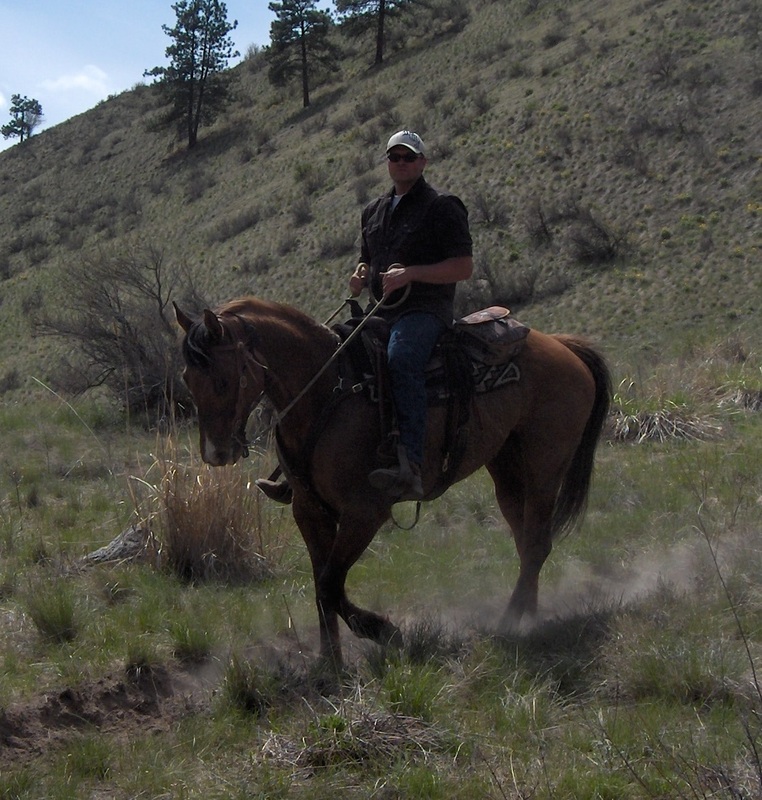 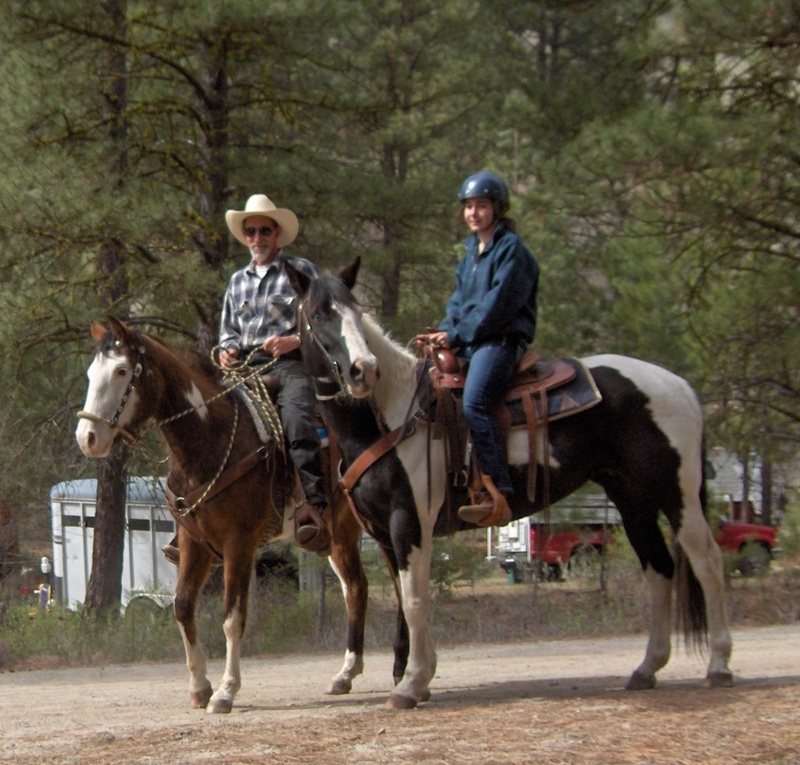 Methow Valley Back Country Horsemen and what we do! Click here to see photos of our 2018 Spring Ride! 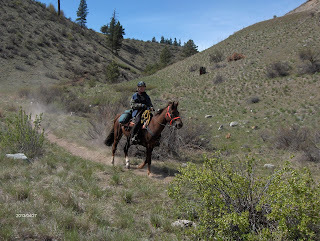 Click here to see the great fun we had at the 2014 30th Spring Ride or scroll down to see photos of our 2013 Spring Ride! 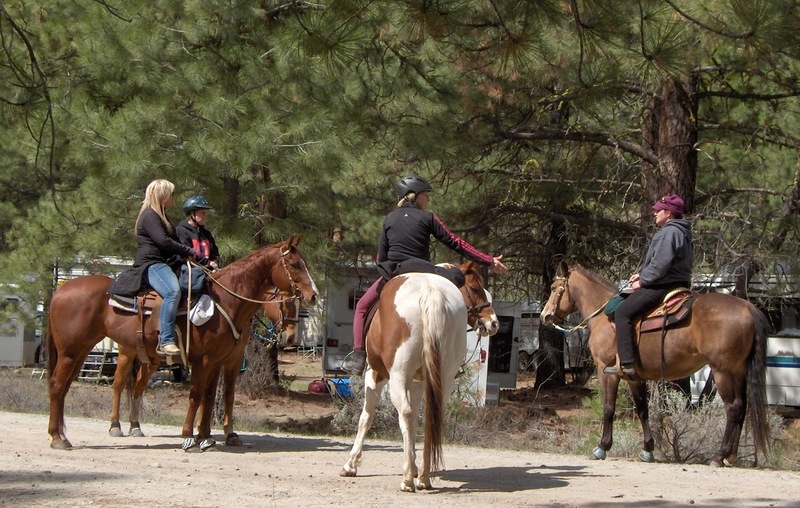 Tacking up for the "shake the kinks out" first ride! 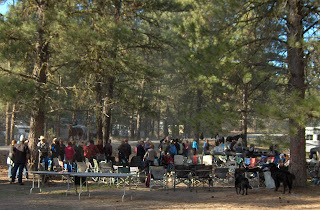 Friday night pot luck diners line up for dutch oven gourmet! 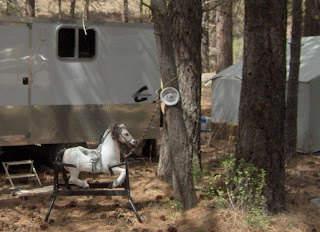 Paper plate says "George's Ride"--Where's George?? 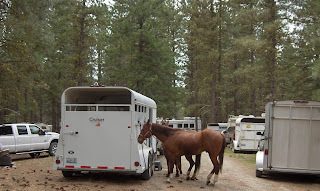 Welcome back from the ride! Tres Caballeros (the Bradshaw family) up close! 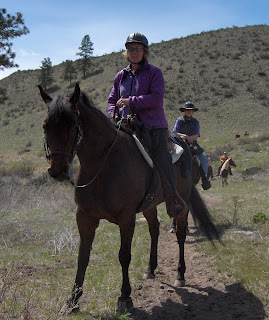 Back from the ride, and those ponies don't even look tired! Whoa there--looks like your pony wants to go round again! Everyone loves a good ride! Hey, hold up--I'm tired and can't go that fast! Really great ride--and really great BBQ! 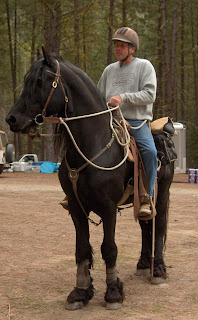 Ride farrier Winfrey Smith--no problems, good ride! 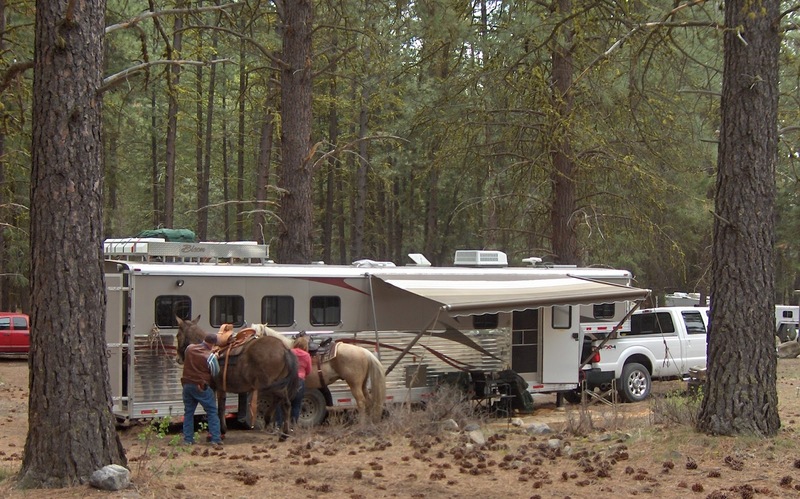 Saturday night entertainment 'round the campfire. 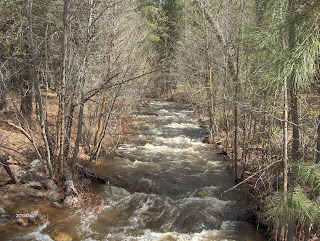 Over the hills, and along the valleys. 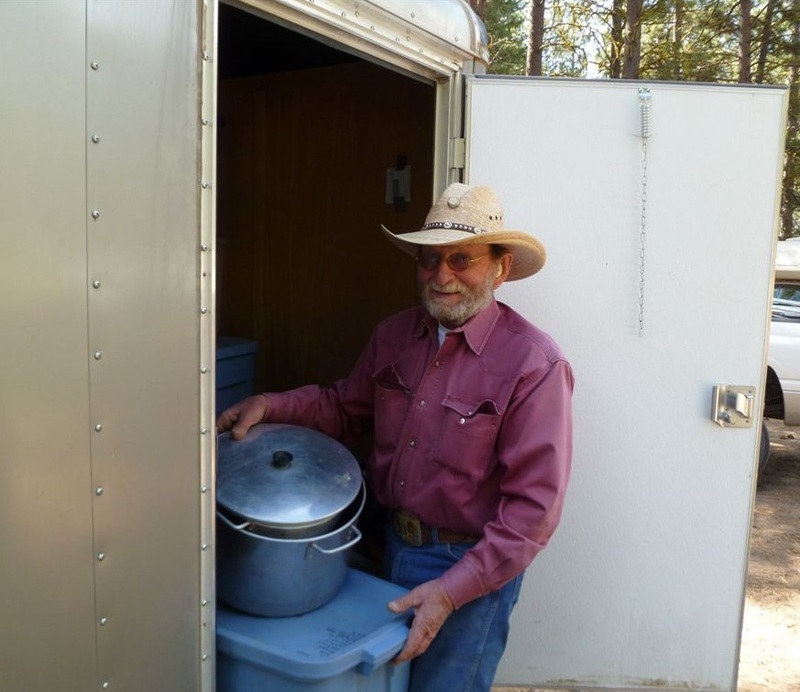 The BBQ Lunch is served! Krista Wallin gets acquainted with mini "Moon"